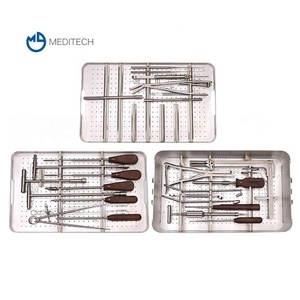 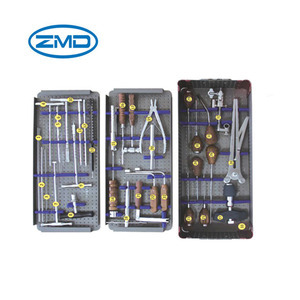 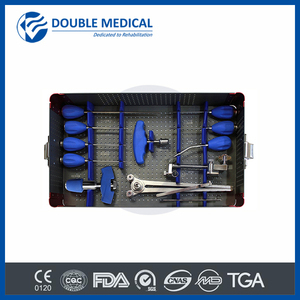 1 YRS Changzhou Meditech Trading Co., Ltd.
1 YRS Shanghai A-Orth Medical Co., Ltd.
5 YRS Suzhou Sunan Zimmered Medical Instrument Co., Ltd.
4 YRS Double Medical Technology Inc.
11 YRS Suzhou Kangli Orthopaedics Instrument Co., Ltd.
4 YRS Jiangsu Trauhui Medical Instrument Co., Ltd.
3 YRS Beijing Fule Science & Technology Development Co., Ltd.
1 YRS Suzhou Nanh Medical Co., Ltd.
2 YRS Just Huajian Medical Device (Tianjin) Co., Ltd.
Our product lines include traumatology, spinal fixation system and surgical instrument, covering products such as femoral nail,titanium plates and screws,pedical screw with rods, PEEK cage, balloon kyphoplasty for spine fracture and other instrument set. 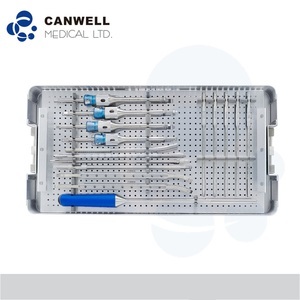 We have made a significant investment to upgrade modern production equipment, improve production processes and develop superior technical skills. 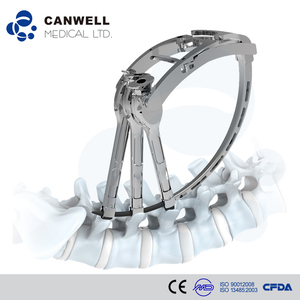 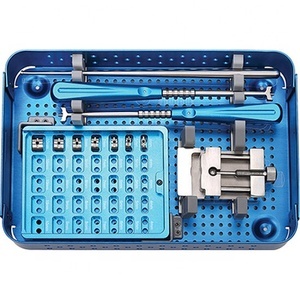 We are willing to work with customers and distributors world wide to provide the best orthopedics product and improve life quality for people in need. 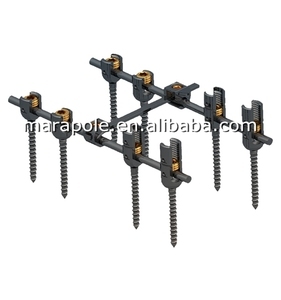 It is essentially a screw whose spherical head is enclosed on a housing, which allows the screw a range of motion along several different axes relative to the housing. 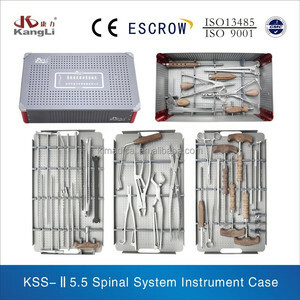 These vertebrae are then fixed in place with screws and/or wire through the pedicles of each vertebra attaching to a metal rod on each side of the vertebrae. 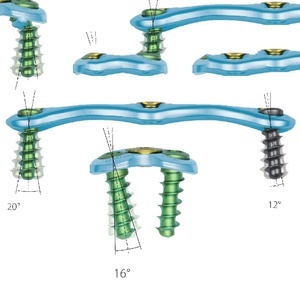 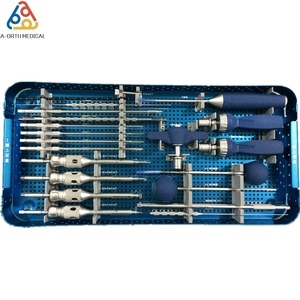 Interbody fusion places the bone graft between the vertebra in the area usually occupied by the intervertebral disc.